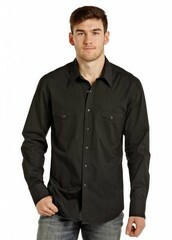 Black Solid Stretch Long Sleeve Snap Front Shirt. 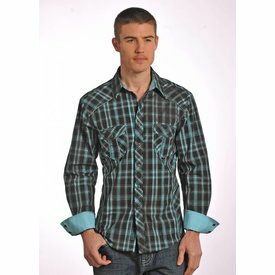 Turquoise and Black Plaid Long Sleeve Snap Front Shirt. 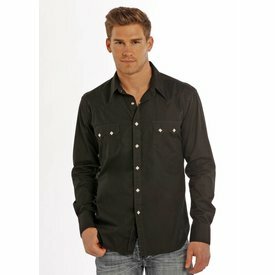 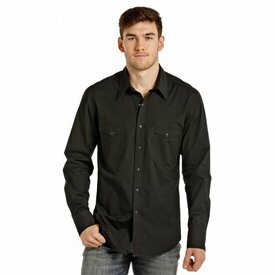 Solid Black Long Sleeve Snap Front Shirt. 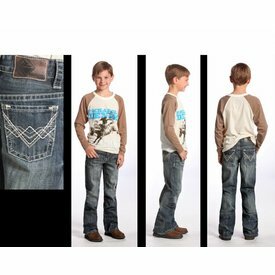 Medium Wash Straight Leg Slim Fit Pistol Jean with Raised Denim Double "V" Back Pocket Embroidery. 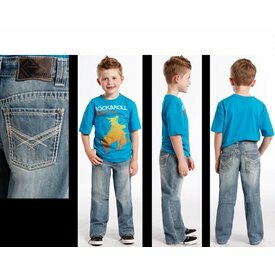 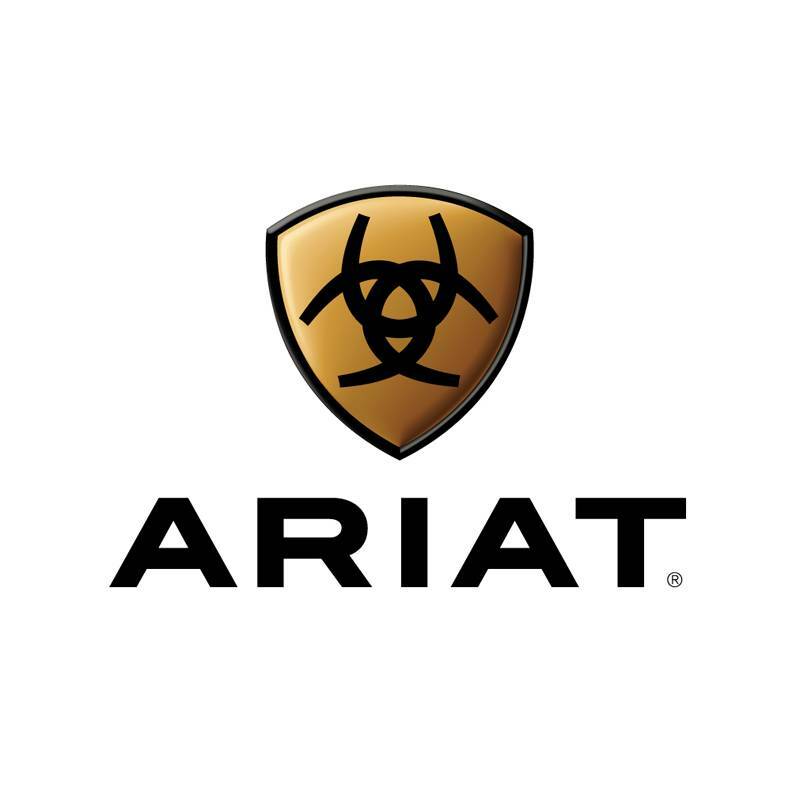 Dark Wash BB Gun Regular Fit Jean. 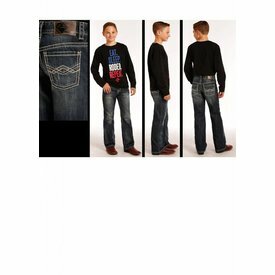 Medium Vintage Wash BB Gun Regular Fit Boot Cut Jean. 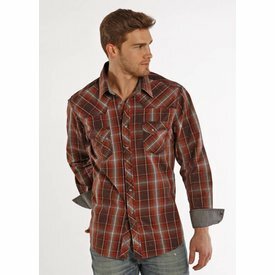 Brown and Red Plaid Crinkle Wash Long Sleeve Snap Front Shirt. 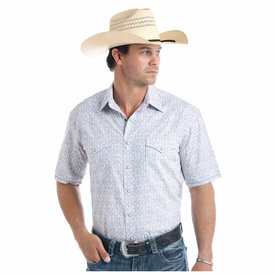 American Flag Screenprint Trucker Mesh Cap. 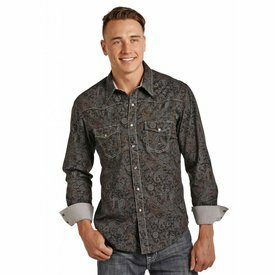 Black/Grey Poplin Paisley Print Long Sleeve Snap Front Shirt. 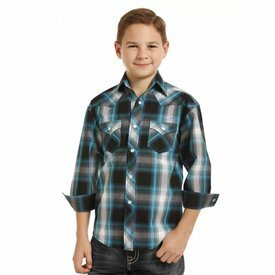 Medium Vintage Wash BB Gun Regular Fit Jean. 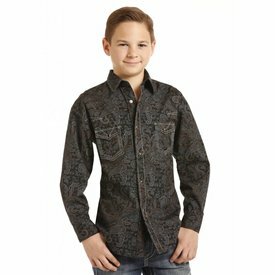 Grey Mody Vintage Aztec Print Short Sleeve Snap Front Shirt. 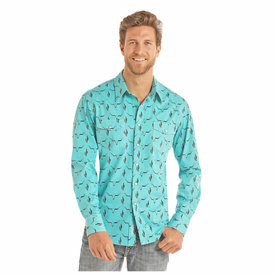 Teal Lognhorn Skull Print Long Sleeve Snap Front Shirt. 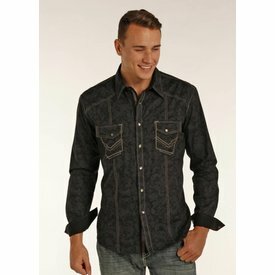 Black and Grey Paisley Print Long Sleeve Snap Front Shirt. 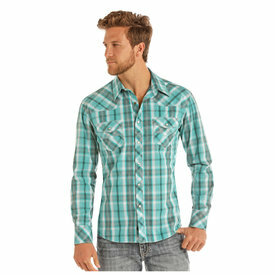 Teal Plaid Long Sleeve Snap Front Shirt.